A brand new report published by the Centers of Disease Control and Prevention (CDC) reveals that the sky-high costs of heavy alcohol use and binge drinking are having a major effect on the United States economy. It revealed that excessive or binge drinking caused the American economy a $249 billion bill in 2010, while the federal government foot about 45 percent of the costs caused by people getting trashed after drinking at least one too many alcoholic drinks. The study was published in the American Journal of Preventative Medicine. CDC's research learned that the cost of excessive drinking the U.S. increased $25.5 billion between 2006 and 2010. The U.S. government paid more than $100 billion of the costs, according to CBS News. Meanwhile, the average cost-per-drink on the U.S. economy spiked between that period. It increased from $1.90 per drink to $2.05 per drink between the years of the study, according to Munchies. Most of the costs were linked to three factors. They included lower workplace productivity; crime; and the treatment of alcohol-related health problems including those of the kidneys, liver, and heart. Binge drinking is defined as consuming at least five alcoholic beverages during one session, for men. The figure is four or more beverages for women. It was responsible for 77 percent of the total costs of excessive drinking, according to CBS News. Meanwhile, in a distant second place was underage drinking, which made up nearly 10 percent of the costs. The expenses for excessive drinking ranged greatly between states. The lowest was North Dakota's $488 million bill, while the highest was California's $35 billion. Excessive alcohol drinking in the U.S. also caused an average 88,000 deaths. Dr. Robert Brewer is the CDC Alcohol Program's head. He said that the skyrocketing rise in excessive drinking's cost during the half-decade was very troubling. That was due to the period's economic recession. Brewer explained that preventative methods can decrease the cost of over-drinking on the state and local levels. However, such resources are under-used. 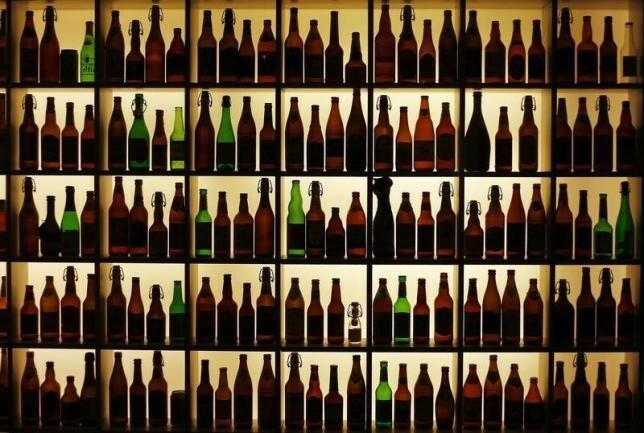 A report by the Beer Institute shows that New Hampshire has the U.S.'s highest average alcohol consumption per person. Each person guzzles 40.8 gallons (154 liters) of beer, wine, and hard liquor per year.